Little darling the smiles returning to the faces little darling it seems like years since it's been here here comes the sun and I say it's all right. I arrived at the office today, very very sleepy, demotivated, and immediately thought, "It's July already! Jeeeew-liiiie!! This year has flown by like no other. Maybe I'm losing my mind? Maybe I'm really hiiiigh? SLOW DOWN!" I'm going talk a little about this blog - a trash bin second home that I established in 2005. I've been tinkering with the idea of switching from Blogspot to owning my own URL -so that my little place will have its own street address- but primarily work have kept me from doing much changing and updating. Boo! We all know that setting up a blog the easiest part and buying your own domain is only a matter of your financial capability, BUT actual blogging is the hard part. Once the initial enthusiasm wanes, it is difficult to keep posting. Most would-be Bloggers post less, and less, until they simply quit and abandon their blog (or in my case, since I'm a full-time employee, I don't have to both write posts and work in the "marketing"... also, my life is too mundane to be journaled). A new address can wait, but change is necessary. So yesterday I spent few time to modify this blog like apply a new theme and.. modify a few? Damn you HTML5!! But it looks different right? And I'm happy about that! It's kinda weird, this little change brings a HUGE smile to my face. In the mean time I will keep on arranging my Blogger template and help it more homey, friendly, and "adult-ish". 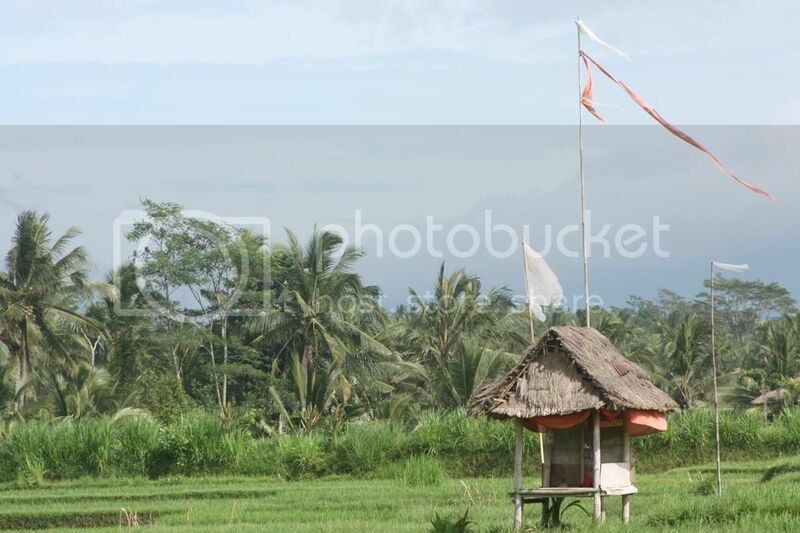 Anyway I don't have a post-related picture to be attached, but you can enjoy a photo of paddy rice in Ubud, Bali, that I took in 2011. Can you feel the sense of peacefulness and calm? Can you smell the mountain breeze? Because I'll see ya soon, Bali!